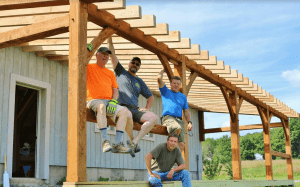 The Finger Lakes Museum & Aquarium (FLM&A) has announced they are offering beginner and advanced timber framing workshops this summer, taught by Rob Hughes of Big Beams Timber Frames in Cohocton. In an unexpected change in direction, the Finger Lakes Museum’s board of trustees voted to move the project from its proposed location in Keuka Lake State Park to the site of its Discovery Campus in Branchport. The Finger Lakes Museum is preparing for the opening of its Discovery Campus grounds in Branchport this July with three community planting days – May 10, 17, and 25 from 10am to 2pm. 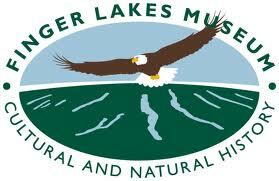 The Finger Lakes Museum’s Board of Trustees made a new appointment at its March 18th board meeting. Philip Lentini, of Penfield, who had been serving as the Museum’s Vice President for Advancement since late 2013, was elected to a seat on the board and appointed to the position of Executive Director. 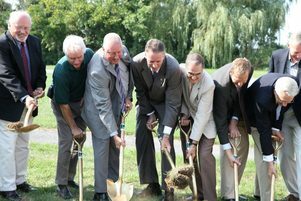 Lieutenant Governor Robert Duffy joined local officials recently to break ground on the Finger Lakes Museum, a new educational and cultural center that will be located on the Discovery Campus in Branchport, along Keuka Lake. The project was identified by the Finger Lakes Regional Economic Development Council as a priority project in 2011 and was awarded $2.3 million to support the renovation of the former Branchport Elementary School into a historical center highlighting the Finger Lakes region. “The Finger Lakes Museum is a transformational project that will create much-needed jobs and provide a significant boost for the tourism industry and local-area businesses,” said Lieutenant Governor Robert J. Duffy. The Discovery Campus is the first of a two phase multimillion dollar indoor/outdoor natural and cultural complex highlighting the Finger Lakes region. The project is sponsored by The Finger Lakes Museum and will create and retain 100 direct jobs at the Museum, create 330 construction jobs, and generate an estimated $12 to $15 million annually in the region through increased tourism, which will spur local economic activity with area businesses and benefit the surrounding communities. Last year, a total of $785 million was awarded through the Consolidated Funding Application (CFA) for job creation and community development projects consistent with each region’s strategic plans. The Museum was awarded funding from three state agencies, including $1.5 million from Empire State Development (ESD), $400,000 from New York State Office of Parks Recreation & Historic Preservation (OPRHP) and $381,000 from the Environmental Facilities Corporation (EFC). ESD’s $1.5 million will help to offset the costs of acquiring and renovating the Branchport Elementary School site and the construction of the Discovery Campus. EFC’s Green Innovation Grant Program will create an innovative and interpretive storm water management system, including a porous pavement parking lot which will absorb rainwater and reduce the runoff of polluted water into Sugar Creek. A rain-absorbing “green roof” and eco-friendly bio-filters will further treat storm water runoff, stream banks along the creek will be restored and protected, and OPRHP’s resources will be used to increase public access to the waterways at the Discovery Campus including the creation of a waterfront program center and a hand-carry boat launch. In May, final design plans and a virtual tour of the exterior and interior improvements of the Discovery Campus were unveiled and can be seen online at The Finger Lakes Museum’s website. 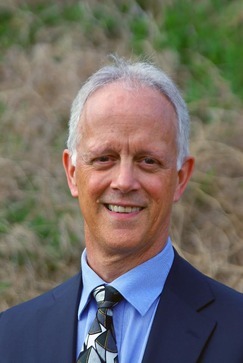 The Finger Lakes Museum has announced the appointment of Richard Lane as Development Director. 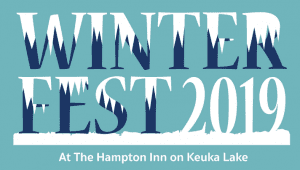 Richard brings over 20 years of senior level experience in the non-profit sector to the Museum, which will open its Discovery Campus, in Branchport in 2013 and plans to open its exhibit-based museum facility and aquarium in 2014-2015 at Keuka State Park. While serving four nationally-recognized organizations, Richard has worked on capital campaigns, including construction projects, ranging from $12 million to $18 million. He has extensive experience in community outreach and advocacy, working diligently with non-profit boards to accomplish those projects. Contact Richard by email at rlane@fingerlakesmuseum.org or by phone at 315-418-0536 to set up a time to meet with him to discuss giving opportunities, questions about future donations, or to get to know one another over a cup of coffee. In April, The Finger Lakes Museum launched its annual campaign titled “Preserving your Passions”. By the end of December, the Museum hopes to raise $450,000. 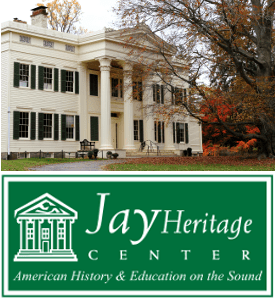 Contributions are being accepted to help the Museum make their first annual giving campaign a success so they can continue supplying the Finger Lakes community and its visitors with educational programming focused on the preservation and stewardship of this beautiful Finger Lakes region. 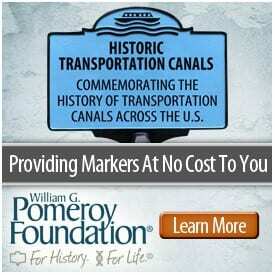 Donations can be made online or by mail to: The Finger Lakes Museum, PO Box 96, Keuka Park, NY, 14478. 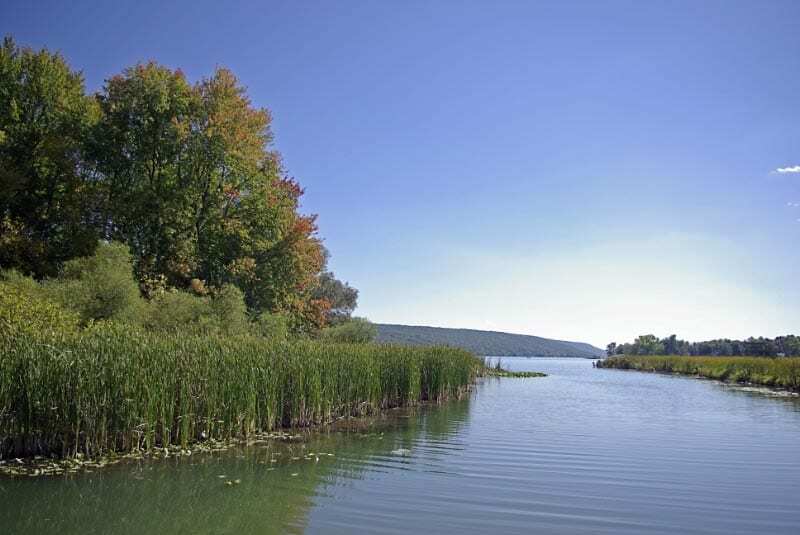 The Finger Lakes Museum is proposed as the premier natural and cultural resource dedicated to the enjoyment, education and stewardship of the Finger Lakes Region – and to fresh water conservation. The Museum is chartered by the NYS Education Department and incorporated as a not-for-profit, tax-exempt organization. The Finger Lakes Museum has a new satellite office space at 81 Browns Race in the High Falls historic district of Rochester. The Museum signed a co-location agreement with the Philipson Group, a creative communications and marketing firm. According to a statement issued to the press, the main purpose of the new office space is development. Current and potential supporters and consultants of the Museum from the surrounding Rochester area are expected to have the place to visit one on one with Museum staff and keep abreast of their progress. Plans for the Museum will be on display and collateral material will be available inside, museum officials said. Photo: The Finger Lakes Museum employees, Executive Director Don Naetzker and Communications/Programs Director Natalie Payne, stand outside of their new satellite location in High Falls, Rochester.